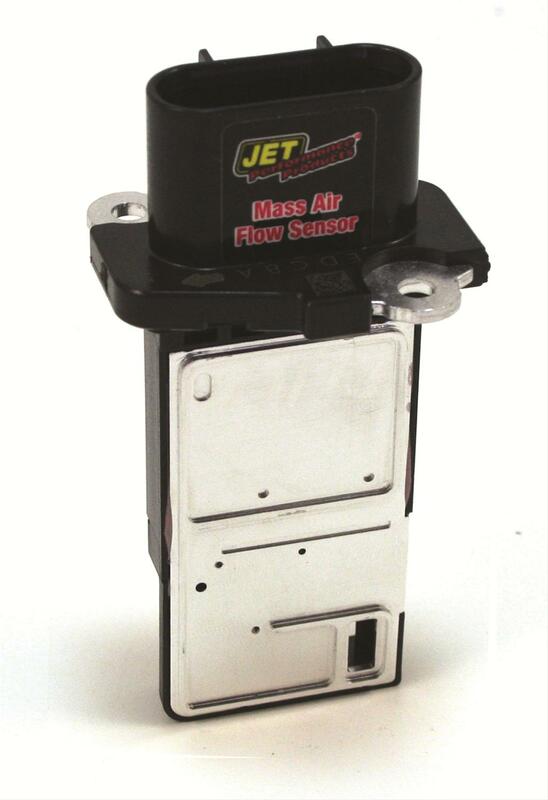 Summit Racing now carries JET's Powr-Flo Mass Air Flow Sensor for GM vehicles. By swapping the factory Mass Air Flow sensor for the Powr-Flo MAF Sensor, owners can bump up horsepower, torque, and fuel economy. The Powr-Flo MAF sensor optimizes airflow better than the factory sensor. This allows the engine’s ECU to create a more performance-oriented air/fuel ratio. That means better combustion, which delivers better throttle response, more torque and horsepower, and improved fuel economy. The improved airflow a Powr-Flo sensor creates is perfect for optimizing the performance of other modifications like ECU tuning, a cold air intake, or a performance exhaust system. The JET Powr-Flo sensor is fully compatible with factory electronics systems and, in most cases, installation requires little more than unbolting the OE sensor and replacing it with the Powr-Flo. It’s even approved for use in California under CARB E.O. Number D-234-11. The JET Powr-Flo Mass Air Flow Sensor will fit many popular 2012-16 Chevy, Buick, Cadillac, and GMC cars and light trucks with four-, six-, and eight-cylinder engines.